Preheat oven to 325°F. Grease and lightly flour a 9- or 10-inch tube pan. This cake is delicate so I wouldn’t recommend using a bundt pan. In a large bowl, whisk together flour, baking powder and salt. In a separate bowl, use an electric mixer (on medium speed) to cream the butter and sugar until fluffy (about 3 minutes). Add in eggs, one at a time, and mix well. Stir in the milk, coconut extract and shredded coconut. Finally, add the flour, baking powder and salt mixture, and stir to combine. Pour batter into prepared pan and bake until golden brown, about 1 hour. Meanwhile, prepare the glaze. Whisk together the coconut milk, coconut extract and confectioner’s sugar until smooth, adding more sugar as needed to thicken the glaze (or more milk if you want to thin it out). Cool cake in pan for 5-10 minutes before removing. 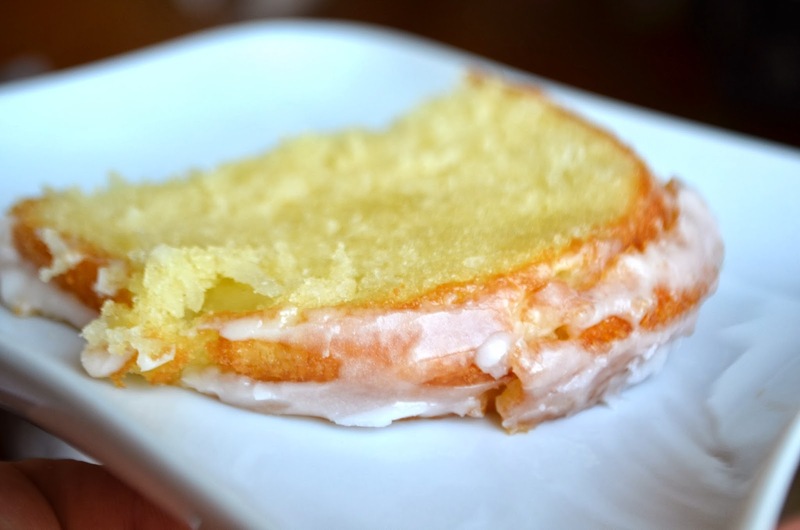 Drizzle with glaze while cake is still warm.